The fact that thousands of Japanese people were willing to commit suicide in a vain attempt to influence a war that was already lost is something I have always found puzzling. Attempting to bridge the distance of time and cultural difference is a very tricky thing and everything written below is my attempt to interpret the motivations and processes behind the kamikaze phenomena. As this is a highly charged subject about which people have a number of understandably different views I’d just like to say that no offence is intended on my part whatsoever. Undoubtedly patriotism and national fervour played an important role, just as it did in every other country during the Second World War. While the older residual beliefs of a traditional warrior-based society that valued death over dishonour and presented suicide as a honourable option certainly played their part, I would suspect that these had a lot more to do with rationalising a decision after it had been made. But I would certainly not dismiss the bushido code and the samurai tradition as motivating factors for individuals and for producing a culture of self sacrifice at a time when all appeared lost. By selectively emphasising a powerful legend from Japanese history – the original divine wind that had deflected the Mongol invasion during the 13th century – it was possible to produce a seductive narrative in which the mythology of the past was used to rationalise the actions of the present. In cloaking their actions with the trappings of historical legend, the Japanese leadership (who had led their country to absolute disaster) sought to maintain their grip on power in a society now stretched to breaking point. Another aspect is to do with how the Emperor was regarded at this time; he was not only a royal person and head of state in the Western mode, he was also at the apex of the Shinto religion. Whereas some sources state that he was regarded as a living God, in reality the closest comparison is to the European idea of the Divine Right of Kings. This theory appeared in Medieval Europe in order to give legitimacy to the dynasties of monarchs who had (usually) grabbed power in rather a grubby fashion. Obviously, I’m simplifying things; Japan in World War 2 was not the same as medieval Europe. However, in a strictly defined hierarchical society such as Japan this gave the edicts and commands issued in the Emperor’s name an importance that went far beyond the orders of a mere politician. This sense of absolute loyalty to the Emperor created a wartime culture whereby anything other than complete sacrifice in his name was presented as shameful. Surrender was a disgrace. Also, for much of the 1930s Japan was at war and militarism pervaded social and media discourse throughout. This meant that for those who came of age in the mid-1940s, who made up the bulk of the kamikaze, their formative years would have been dominated by a culture in which death and glory was presented as an inescapable and inevitable duty, one not to be shirked by a true and loyal member of Japanese society. By the last years of the war, Japan had effectively boxed itself into a corner. The frenzy of militarism that had stoked the public mood for conquest turned into a double edged sword; it had worked well in mobilising and motivating Japanese society and had contributed to the spectacular victories of the 1930s and early 1940s. But once the war turned against Japan it meant that they were trapped by their own extreme rhetoric and couldn’t back-peddle. In the heightened emotional state of a country at war, surrender was presented as beneath contempt. Similarly, once you wind up the war machine then it is very difficult for anybody to call a halt, particularly if a lot of blood has been spilled on your side. While the momentum of total war kept most people passive, busy and silent, it would probably be a mistake to think that everybody was a blind follower. In a rigidly conformist society such as Japan at war, peer pressure would have ensured that dissenting viewpoints could not be expressed in public (any doubts would be confined to the private realm or to a few trusted confidants at most). This would have created a self-reinforcing cycle where the inability to publicly express doubt or dissent meant that the rhetoric of victory or death grew and grew until it appeared that there were no other options available. While the images of aeroplanes crashing into ships are the best known (probably because they were the most visually dramatic aspect of this tactic caught on camera), the kamikaze phenomena permeated all forms of warfare, from the soldier on the ground to the largest battleship in the world being sent on a suicide mission. There was a sort of twisted logic to all this; once the sheer scale of the Allied offensive in the Pacific reversed the gains made in the early part of the war, the military commanders looked for ways to redress the balance. Kamikaze tactics were designed to both shock and disorientate those on the receiving end of them and, more importantly, to send the message to the Western powers that Japan would fight to the last. But this message was not only intended for the enemy; it was also used to keep a grip on the Japanese population at home. As part of the domestic propaganda campaign for their own people, those who committed suicide in this way were termed gyokusai or “shattered jewels” and the process of diving a plane into a ship was termed “a cherry blossom falling”, linking it directly to one of the iconic signifiers of Japanese culture. When combined with a propaganda campaign that valorised such Special Attacks (i.e. kamikaze), the entire process operated to normalise suicide in wartime. As a good citizen it was now your duty. Furthermore, if everybody is expected to die for Japan, then there is no room for dissent – you were a disloyal coward who had betrayed your fellow countrymen and women who had all (outwardly) accepted the idea of suicide rather than surrender. The Japanese leadership knew the writing was on the wall (even if they could not say so publicly) but by throwing wave after wave of suicide attacks at the enemy they hoped to break the Allied resolve. In a desperate attempt to delay the inevitable the Japanese leadership hoped that they could somehow wear the Allies down and cut a deal in which they could preserve their positions. Or, if Japan hung on long enough it was hoped that the Allies might start fighting amongst themselves and create an opportunity to might provide a route out of the quagmire. The net effect of these delaying tactics was counted in countless lost lives on all sides. 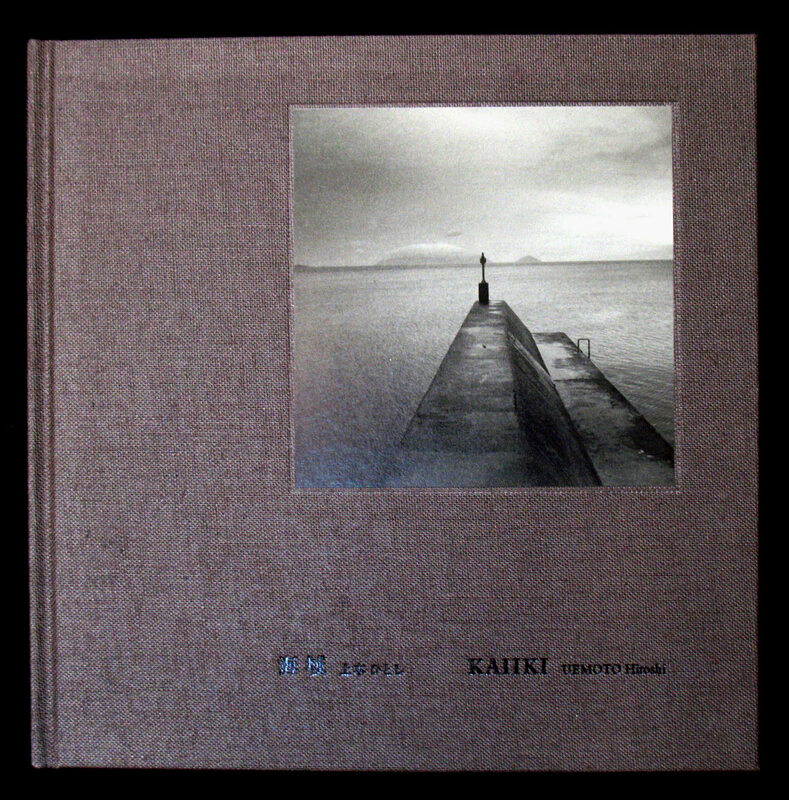 This brings us to the book; published by Sokyu-Sha in 2013, Kaiiki (translated as “sea area” or territorial “waters”) is an exploration of the base where sailors were trained to attack enemy ships with manned torpedoes called kaiten. As can be imagined, if you were sitting on top of a torpedo and steering it towards an enemy ship the chances of survival were nil. Due to Japan’s island status, any invasion would have had to come by sea and so a lot of desperate energy was devoted to disrupting the Allied juggernaut as it moved across the Pacific. As such, the kaiten programme was part of the Special Attack forces and the waters around the island were used for training purposes before combat. After training was completed, the kaiten and their pilots would have been loaded on to larger submarines for operations in the Pacific Ocean against Allied ships. As more than ten percent of the total morality rate for kaiten pilots occurred during training accidents, surviving this stage appears to have been an ordeal in itself. Presumably, the rationale behind manned torpedoes was that it would improve accuracy; if this was the case it failed miserably. For all the expenditure of Japanese blood and treasure on this programme the results were negligible; only two American ships were ever damaged by kaiten attacks. According to the photographer, Uemoto’s first encounter with Otsushima island (the training base for the kaiten) occurred many decades previously while he was in his twenties, around the same age as those who piloted these torpedoes. But it took him that length of time to process the significance of this space which has since been turned into a museum. 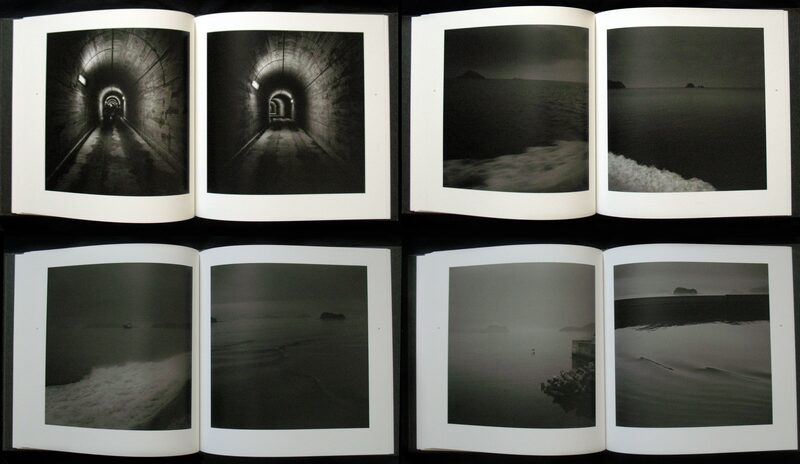 Like other photographic representations in the malevolent landscape genre, representing events that occurred in the past is a difficult task to carry out successfully. Normally, a photographer can focus on features within the landscape, often commonplace, which then become powerful to the viewer once they become aware of the horrific context. Obviously, this is impossible when confronted by an expanse of open water that has no such features. Instead, Uemoto attempts to produce a psychological portrait of his personal response to this place in an attempt to come to terms with what those who trained here may have felt. For anybody who grew up in the immediate aftermath of the Second World War, a period which saw massive social change in Japan, reconciling the recent past with the present is a challenge to say the least. 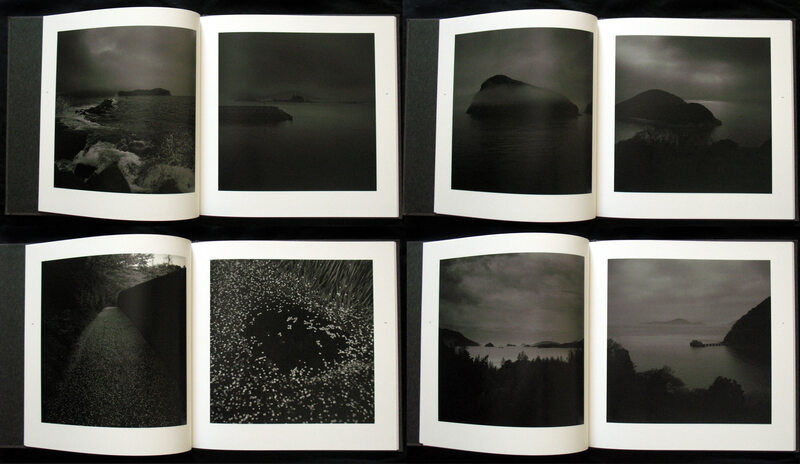 Uemoto shows us the Seto Inland Sea, the semi-enclosed body of water between the main Japanese islands of Honshū, Shikoku, and Kyūshū, the home waters to which the title refers. The book begins with a series of apparently straightforward images; cherry blossoms on a path and floating in the water on the island evoke the idea of Japan as a sacred space. Calm, placid images show us the sea, first with trees from the island in the foreground, small boats and the mist-shrouded features of other islands on the horizon. The mood quickly darkens as the sea and sky merge into an ominous dark grey with occasional beams of light coming through the clouds. Uemoto uses the cloud and fog as a metaphor for the mood of psychological confusion and uncertainty he is trying to convey with his work. In this context, the Inland Sea now occupies an ambiguous position; it is both a sacred place, because it was an integral part of the Japanese homeland, and also a source of constant danger to those who practiced there for their suicide missions. 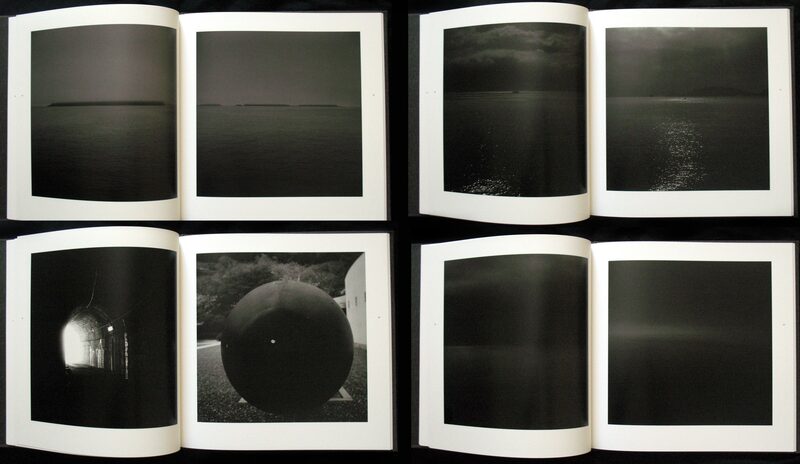 The ships in Uemoto’s photographs grow larger and more defined; ordinary container and cargo vessels on the horizon within these eerie seascapes start to resemble the targets the kaiten were launched at. We see some of the training complex next; endless underground tunnels stretching outwards and an abstracted image of a circular object (the front of a kaiten torpedo) are the few remaining traces of what this place once was. The concrete piers stretching out into the sea show us the link between the land and sea or, in this case, between life and death beneath the dark waters. Immediately afterwards the seascapes become much darker as Uemoto attempts to convey the immensity of what people were expected to do on this island at this time. The competing ideas and ideals of glory, patriotism and sacrifice are locked in conflict with the competing urge to survive and the will to live; this, I believe, is at the root of what Uemoto is attempting to convey with his work. The grey shrouded seascapes darken as night falls and beams of light weakly flicker through the fog and cloud in places, illuminating the placid sea as it descends into darkness. 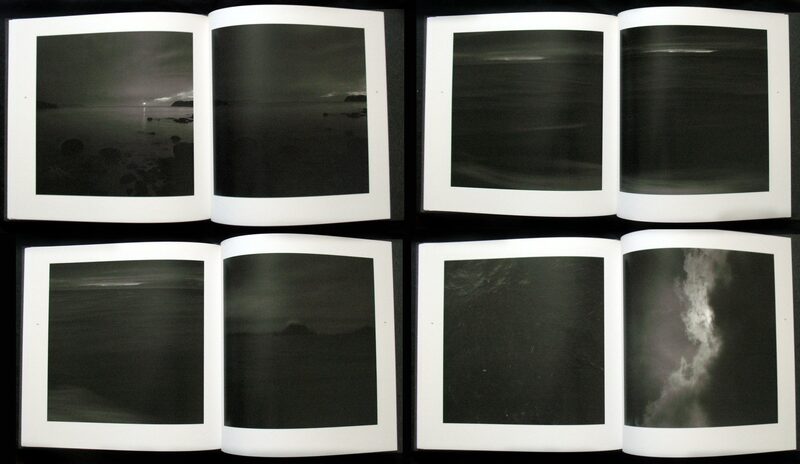 The denouement of the narrative appears in some very powerful nocturnal images of the sea now transformed into blurred and indistinct abstractions where all the boundaries collapse. 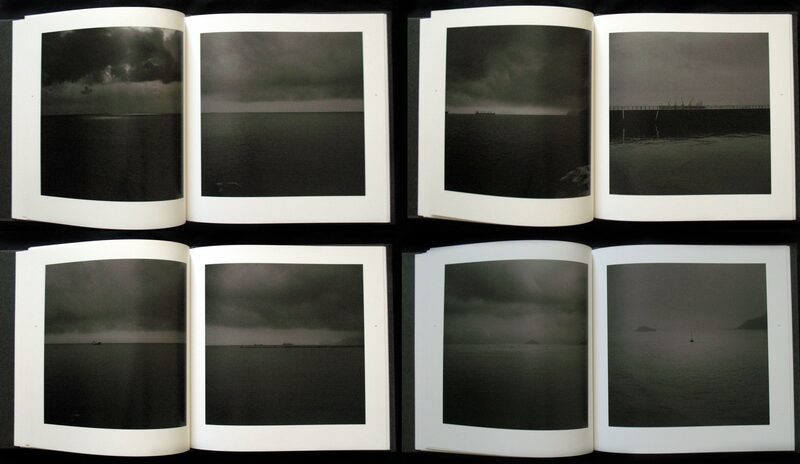 Relief is found on the next page in a pair of images; small pieces of debris float on the water and clouds float above us, signifying release from this psychological drama. Sucked deeper into a web of illusions shaped by dreams of martial glory, nationalistic hubris and imperial conquest, large numbers of people in Japan found themselves presented with no other option but to sacrifice their lives in a futile attempt to win a war that was already lost. Like any form of psychological manipulation, convincing people that they have no way out makes them much easier to control. 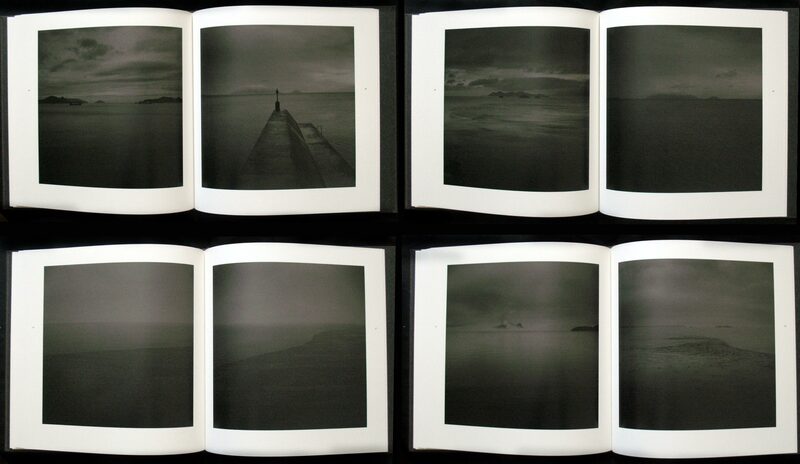 This book also demonstrates the impossibility of recapturing the attitudes and memories of the past. History is always viewed through the prism of the present. Our experiences and our attitudes colour our perception of the stories we tell about the past. Attitudes, ideologies and states of mind that appear utterly alien today were interpreted as being perfectly rational and normal for those immersed in a society dominated by leaders who demanded that large numbers of their own people die on their behalf. Dark and designed to unsettle, this book is a complex meditation on the consequences of actions taken more than seventy years ago that still echo to this day.